Home to New Zealand’s most active geothermal field, a visit to Hell’s Gate offers one of the most full-on geothermal experiences in Rotorua. Admire erupting water, steaming fumaroles, giant pools of boiling mud and the largest hot waterfall in the Southern Hemisphere. Soak up the 700 years of history of this unique place – both Maori then European settlers used the sulphorous waters and geothermal mud as part of their day-to-day living. 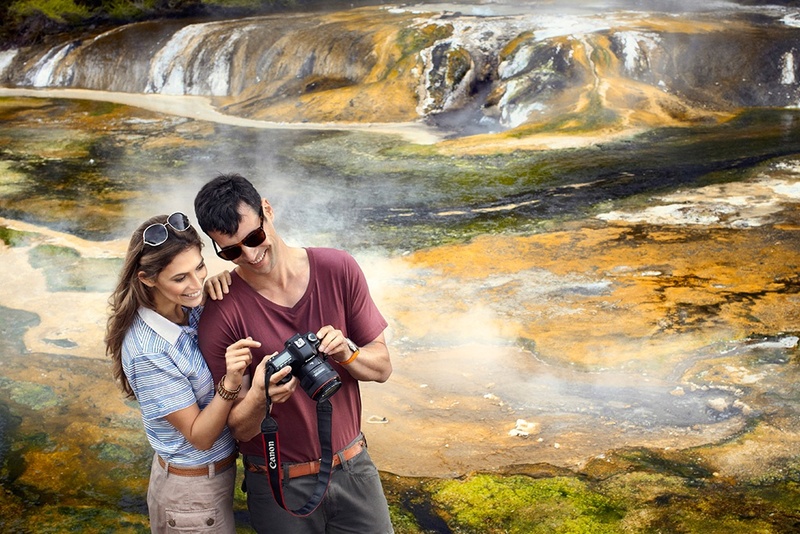 The iconic Te Puia combines impressive geothermal sites with elements of rich Maori culture, located within the Whakarewarewa geothermal valley. View the world famous Pohutu Geyser, erupting up to twenty times a day and often reaching heights of up to 30 meters. Explore the boardwalks that wind through the valley, spotting boiling mud pools and huge, sulphur-coated rocks. There’s also lush native bush walks and regular Maori cultural performances. The most colourful of Rotorua’s thermal parks, Wai-O-Tapu is a truly surreal place to visit. 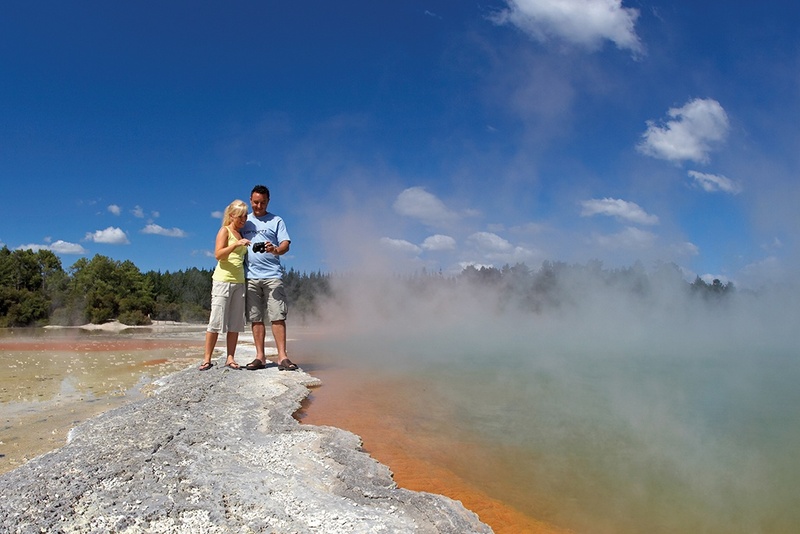 From the bright orange of the Champagne Pool to the eye catching silica terraces, the Lady Knox Geyser, bubbling pools and huge volcanic craters. 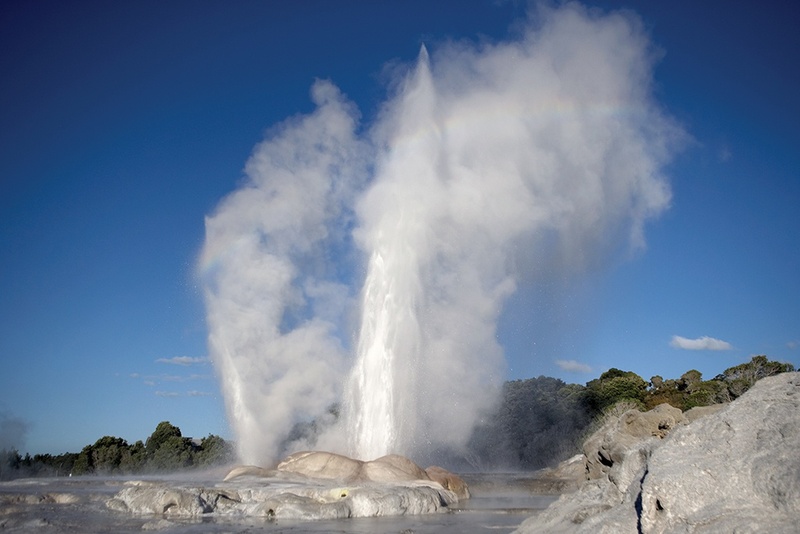 Wai-O-Tapu offers some of Rotorua’s best Geothermal wonders. Located amongst natural bush, the boardwalks and well-formed trails make it easy to explore. Make sure your camera batteries are charged! Labeled the ‘world’s youngest geothermal system’, walk past steaming cliffs, volcanic craters, silica terraces and lush bush. Combine your visit to Waimangu Volcanic Valley with a boat cruise on Lake Rotomahana to experience the valley’s geothermal wonders from a whole different angle.